WASHINGTON — The Senate cleared a major hurdle Thursday night on an opioids package, increasing the possibility that a bill aimed at addressing the national drug crisis could reach President Donald Trump’s desk by year’s end. 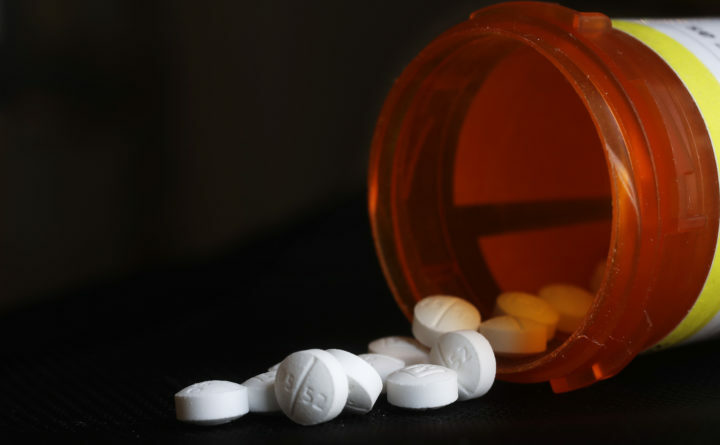 Senators reached a deal to advance legislation that had long been stalled following House passage of a similar package to combat the epidemic of opioid addiction in the country. Senators said they hoped to vote on it as early as next week. Signing such a measure into law would be a major accomplishment for lawmakers and the White House that, in a rare show of bipartisanship, have prioritized taking steps to combat an epidemic that killed 72,000 Americans last year. The crisis has hit all corners of the country, and more than two-thirds of Americans say opioid misuse is a very or somewhat serious problem in their state. And that’s consistent among Democrats, Republicans and independents, according to a POLITICO-Harvard T.H. Chan School of Public Health poll released in July. The issue took on political resonance in 2016 when GOP candidates for president, most famously former New Jersey Gov. Chris Christie, spoke passionately about the pain of addiction on loved ones. This year, the American Action News, a nonprofit supporting right-leaning politicians, is spending $5 million on advertising in 25 congressional districts urging lawmakers to act on opioids. Senate GOP leaders announced they would bring the Opioid Crisis Response Act, a collection of 70 lawmaker-sponsored proposals, to the floor next week for a vote. The House passed another package of opioid measures in June, and the two sets of bills would need to be reconciled before becoming law. Trump has declared the opioid crisis a public health emergency and on Aug. 20 urged the Senate to pass legislation, specifically a proposal to tackle the trafficking of synthetic drugs like fentanyl. The deal was first announced in a tweet Thursday night by Senate Majority Leader Mitch McConnell’s spokesman, Don Stewart, who wrote that Democrats lifted a hold placed on the bill and allowed the legislation to advance. Soon after, Sen. Rob Portman, R-Ohio, who has sponsored several bills that are part of the package including an effort to combat synthetic drugs like fentanyl, released a statement praising the effort. Sen. Lamar Alexandar, R-Tenn., chairman of the Senate Health, Education, Labor and the Workforce Committee, led negotiations to hammer out remaining sticking points. “This legislation represents the work of over 70 senators, five committees, and countless staff who have worked together to help put an end to the opioid epidemic ravaging virtually every American community,” he said in an official announcement of the deal. The Senate bill had stalled over Democratic objections to a grant program they said was written too narrowly to benefit only one addiction advocacy group, the Addiction Policy Forum. The organization was closely connected to PhRMA and Democrats wanted the language broadened to cover more groups. The delay was first reported Wednesday by Politico. Senators worked all summer to reach a deal, which has emerged as a rare bipartisan priority ahead of November’s midterm elections. Trump increased the pressure on Aug. 20 by tweeting that lawmakers must pass the Portman-sponsored bill on shipments of illicit fentanyl through the international postal system. While the Senate and House measures share a lot in common, Politico reports that several other issues held up the bill in recent weeks, including “requiring Medicaid to cover treatment at more inpatient facilities and loosening privacy restrictions for substance-abuse patients’ medical records.” Those provisions are in the House version, but did not make it into the Senate’s final deal. Broadly, the bill authorizes and expands programs for addiction prevention, treatment and recovery. It allows the National Institute of Health to research new, non-addictive painkillers. Regina LaBelle, a public policy consultant who served as chief of staff and policy adviser at the Office of National Drug Control Policy in the Obama administration, commended lawmakers for reaching an agreement. It’s important to note, however, that while this bill authorizes new spending, it remains to be seen whether lawmakers actually appropriate money for the programs involved. Some advocates have argued along the way that a piecemeal approach will not have the same impact as long-term funding dedicated to the problem. Still, any movement forward on opioids in this polarized climate is a win for both sides of the aisle.